Pryda Recordings is a record label founded by the great producer Eric Prydz to release his own records under the name "PRYDA". There is also a sublabel Pryda Friends where you can obviosly find releases from Eric`s friends - Henrik B, Paolo Mojo and others. 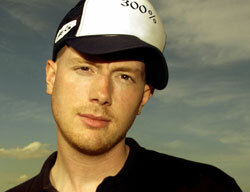 Eric Prydz (Alias: Sheridan, Cirez D, Pryda, Moo)(born 19 July 1976 (1976-07-19) (age 31) in T?y, Stockholm, Sweden) is a Swedish DJ and producer best known for his 2004 hit single "Call on Me", which sampled Steve Winwood's hit "Valerie", which topped the UK singles charts for five weeks. "Call On Me" was also number one on the German Top100 for six consecutive weeks. He is also known for his cover remix of Pink Floyd's Another Brick in the Wall, Proper Education. Aside from producing music Prydz also runs the record labels Pryda, Pryda Friends, and Mouseville, which release most of his own music. On Pryda, he releases music as Pryda. On Mouseville, he produces under Cirez D. In 2006, he released a remixed version of Pink Floyd's "Another Brick in the Wall", entitled "Proper Education", with a video. Until recently, Eric had only played shows in and around Europe as he has a fear of flying.